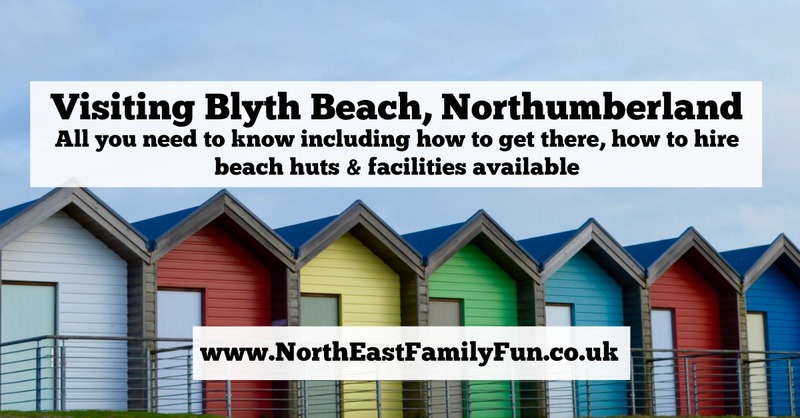 Blyth Beach is only a few miles away from our home and such a nice day out with lots of good facilities. First of all, there is FREE unlimited parking which is always a plus. 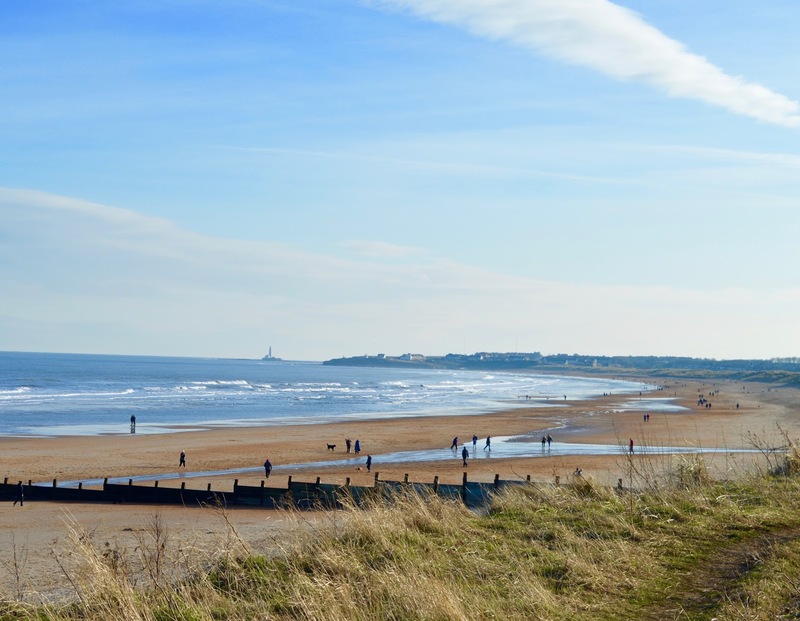 The beach is served by the 308, 309, X7 and X9 buses (check details before setting off). 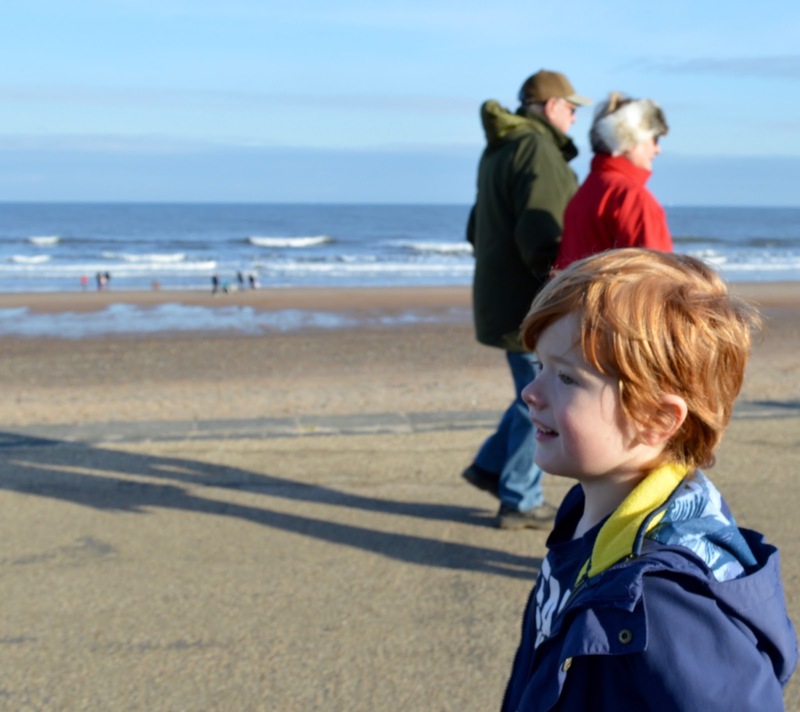 The beach is a favourite after school spot of ours after summer on those days where you want to make the most of every drop of sunshine and we have spent many an afternoon here in the school holidays and weekends too. 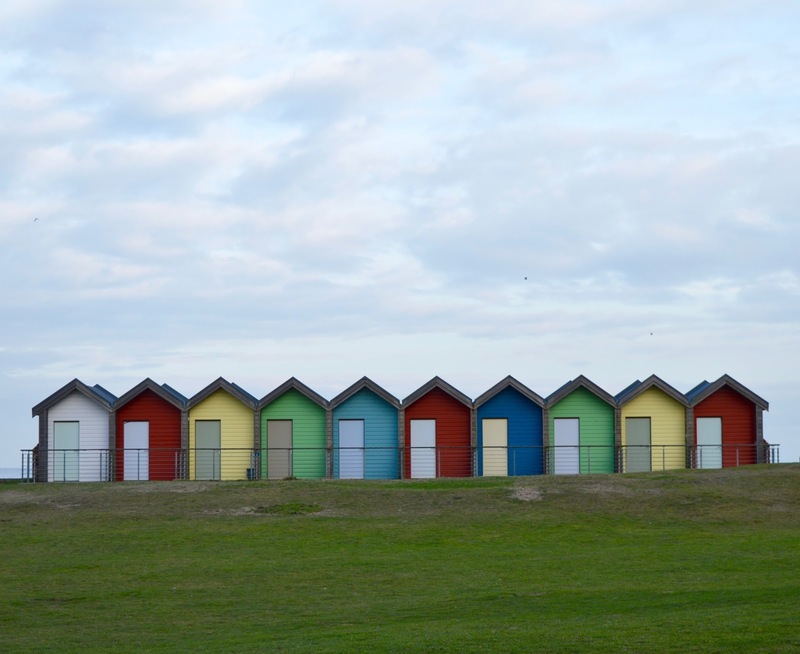 Blyth Beach is home to it's very own beach huts which are available to hire on a daily from Blyth Valley Council. Each hut has 2 deck chairs and a kettle. (Please note that no BBQs or animal are allowed). We hired a Beach Hut to celebrate the Queen's Diamond Jubilee and all brought our own deck chairs - it was a fantastic base for the family and a lovely afternoon. The huts provide a welcome shelter from the wind/sun and have their own small terrace looking out over the park. 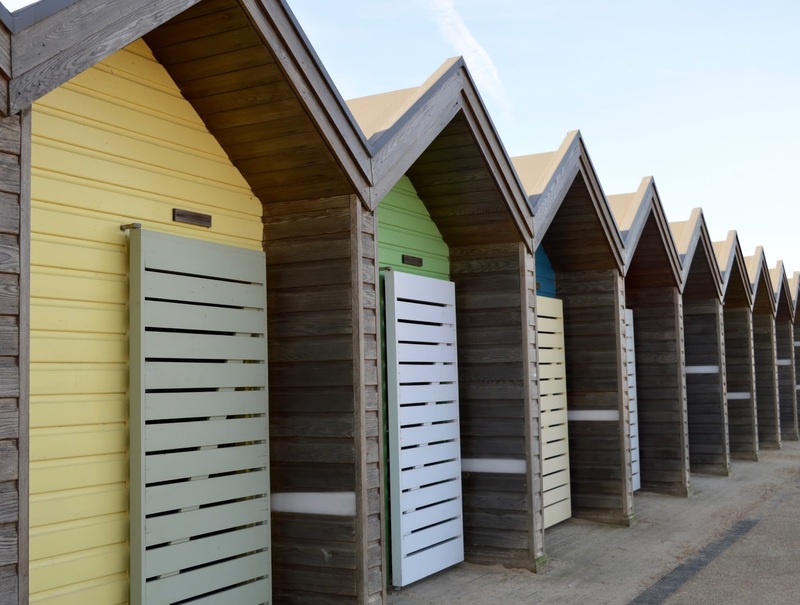 Beach huts can be hired for £25 per day - see here for details of how to book. 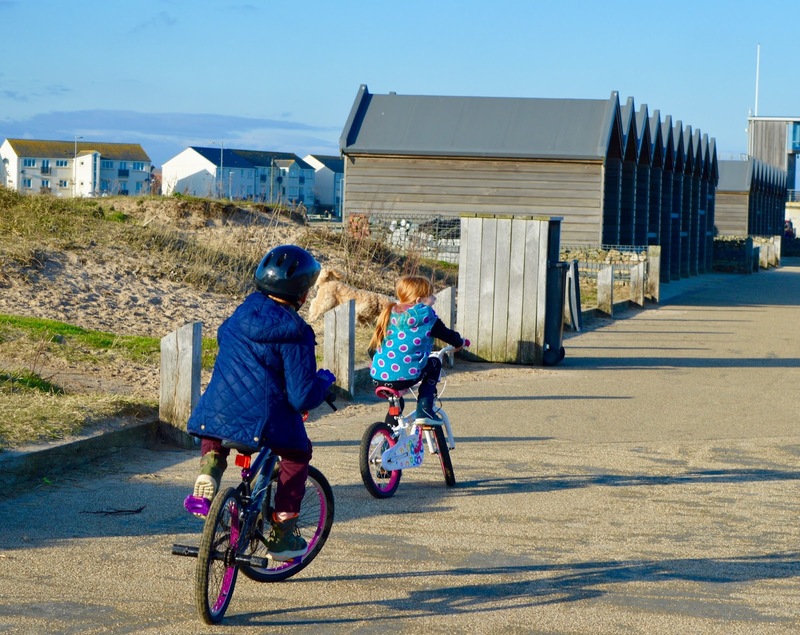 During summer months, we hire out the huts on a daily rate for £25 with a £5 deposit, returned to you upon departure. This is ideal for visitors who want a full beach experience for the day with the option of having a little shelter while you enjoy a cup of tea. On the day of your arrival, you can choose to collect your keys between 8am and 10am at the Dave Stephens Centre or at the Blyth Sports Centre from 7am to close. You must return your key to the centre you picked it up from and you must leave the hut by 7pm. Staff are on hand between 8am and 11am nearby at the Dave Stephens Centre if you have any queries. 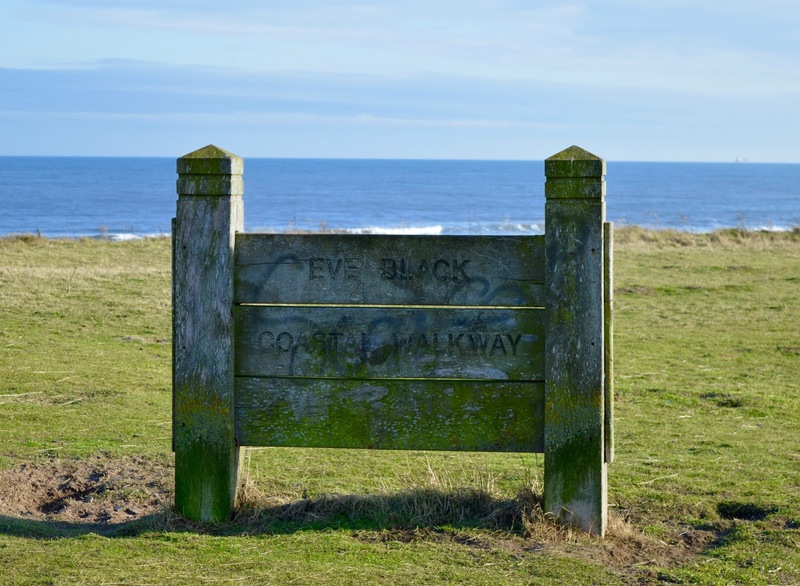 We normally take the kids' bikes or scooters to Blyth Beach and walk along the coastal path to Seaton Sluice. 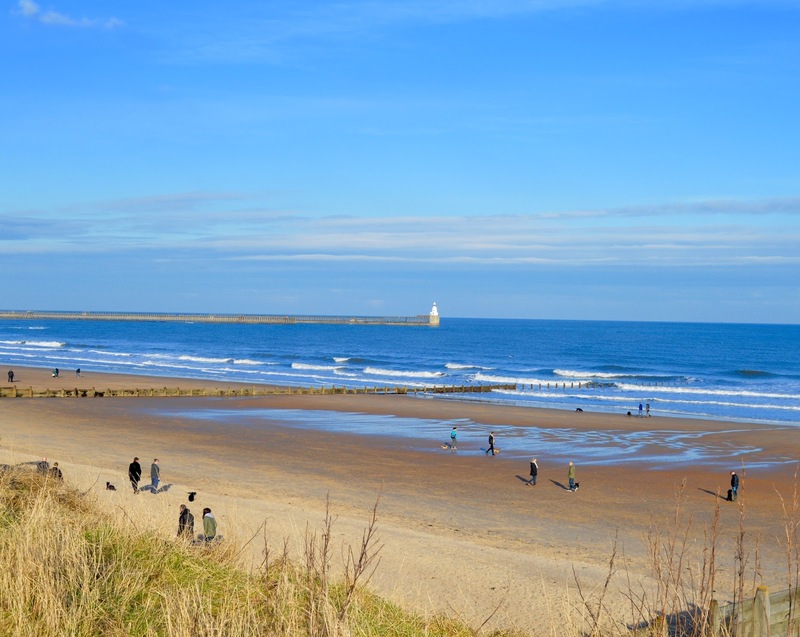 It's safe , flat and popular with families and dog walkers. It is around a 4-5 mile round trip. 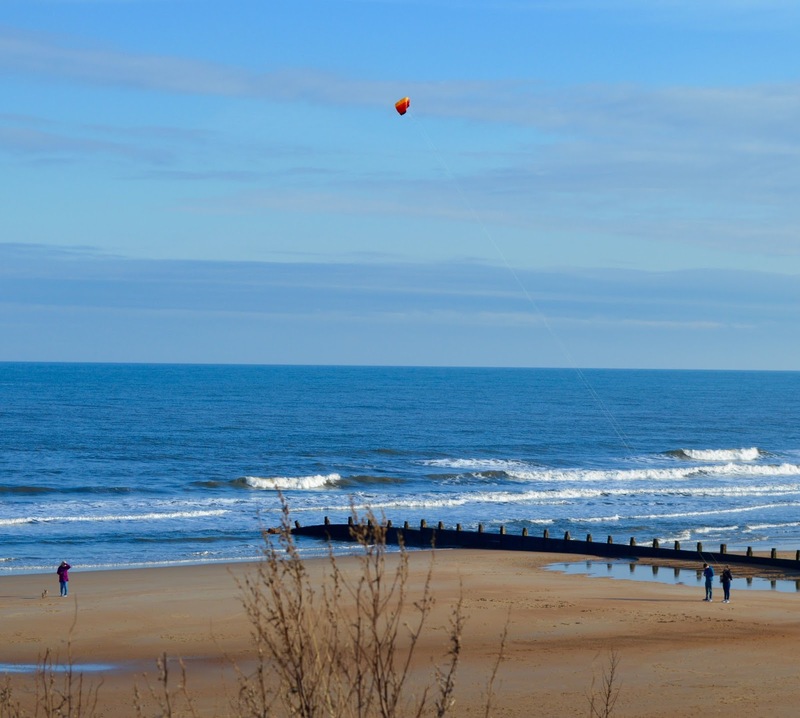 Just set back from the beach you'll find 2 fabulous play parks - one for younger children with swings, small climbing frames and sand diggers and a larger park for older kids with climbing nets and tyre swings. They really are nice parks and if your children are old enough to play unsupervised, there are picnic tables and seating areas just outside the park where you can enjoy a nice cuppa! Coastline fish & chips has to be one of the best chips shops in Northumberland. It is always very popular though - we visited on a sunny Sunday afternoon in February and the queue was out of the door! I waited 40 minutes for these bad boys! Worth it though. You can dine in the restaurant or takeaway. We usually opt to takeaway and eat on the picnic benches outside. There is also a popular ice cream parlour attached to the takeaway with lots of varieties of ice cream and hot drinks on offer. 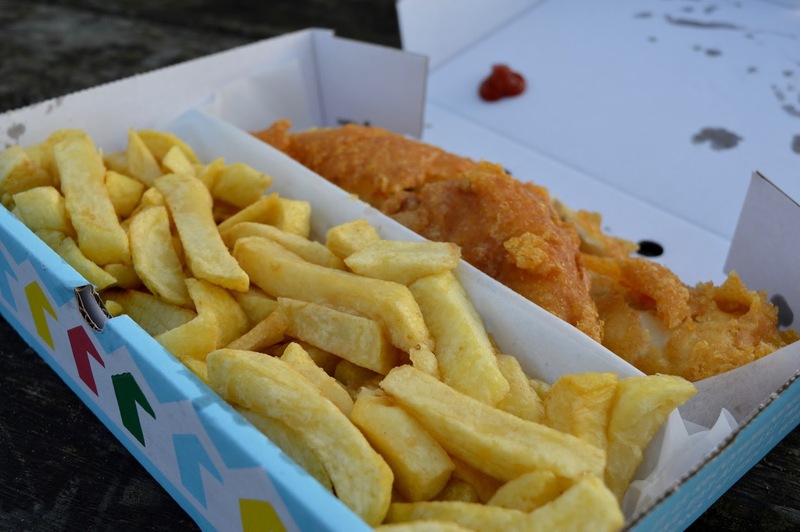 You can find out more about Coastline Fish and Chips here. 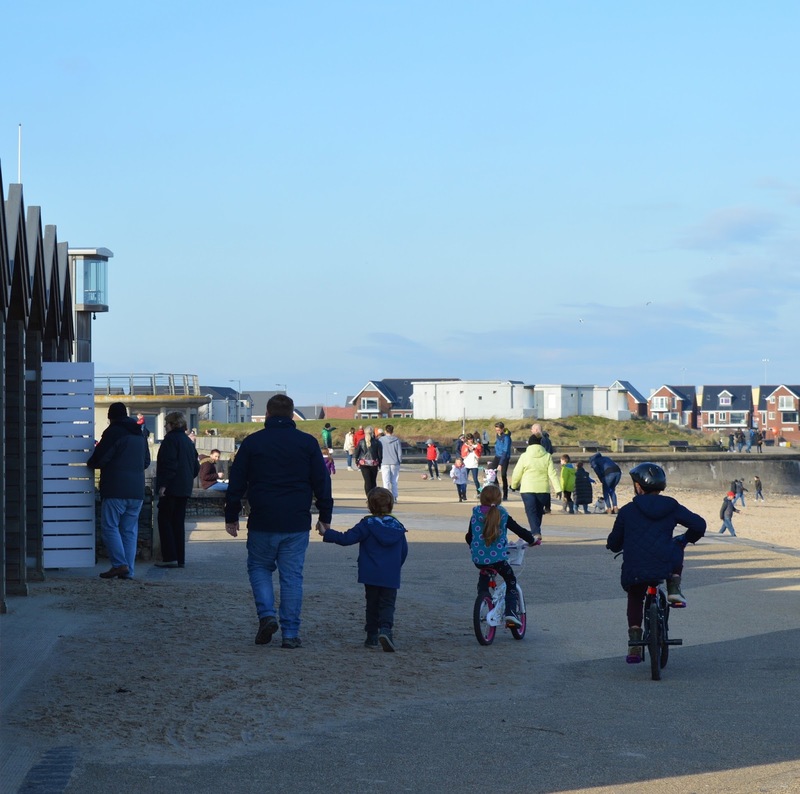 Let me know if you've visited Blyth Beach before and if it's a favourite with your family. I love the idea of hiring these huts. Will definitely do something like this when the weather is better! Wow 40 minutes for fish and chips! they look lush though! never hired a beach hut before, just need the weather. My mam is like 2 secs from s shields beach now so we can go back to hers to dry off! Ah thank you - I am really trying to improve - I will probably make that style of video every fortnight as it works well on the weekend that Steve is off work.